Just as Geist Christian Church is one church in two locations, so too is our Weekday Ministries’ program. 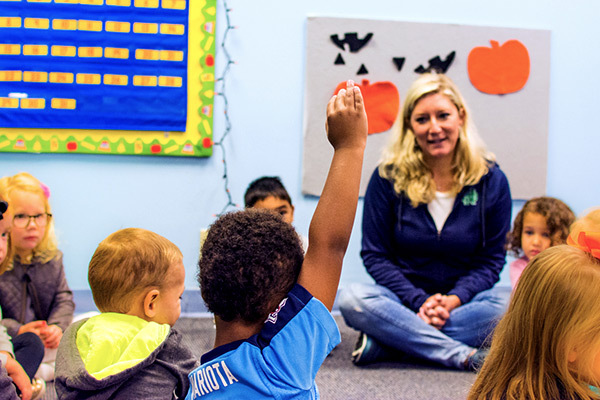 The school, which includes Child’s Day Out, Preschool, Pre-Kindergarten, Transitional Kindergarten and Kindergarten, has been a part of the northeast Indianapolis and Fishers community since 1987. Each campus takes its own approach to the school day, empowering parents to choose a program best suited to their children’s personalities and learning styles. Our school graduates early readers who have explored a well-rounded STEAM–Science, Technology, Engineering, Arts and Math–curriculum. Each campus provides a safe, secure environment where God’s love is integrated throughout the day, while meeting all of the standards required to be a Registered Ministry in the state of Indiana. We invite families to explore our website and visit our campuses to discover which model works best for them. Located at the corner of East 86th Street and Mud Creek Road in Indianapolis, students at this location enjoy a traditional school day where they work, play and lunch in their homeroom. 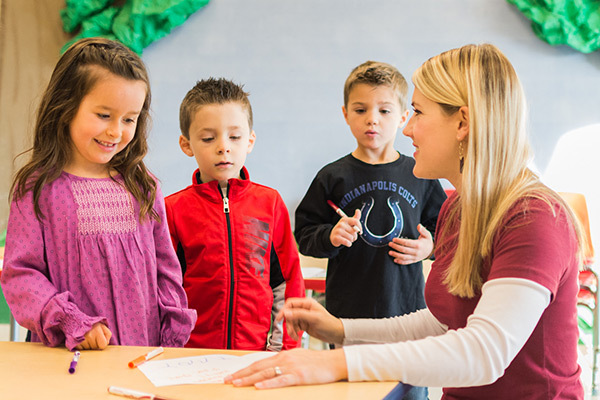 Located at the corner of East 126th Street and Promise Road in Fishers, students participate in a rotation-style schedule in which teachers guide their classes from room to room as children explore different subjects.